With extended desktop, your displays are treated as one, continuous desktop. Make sure each display is properly connected and powered on. 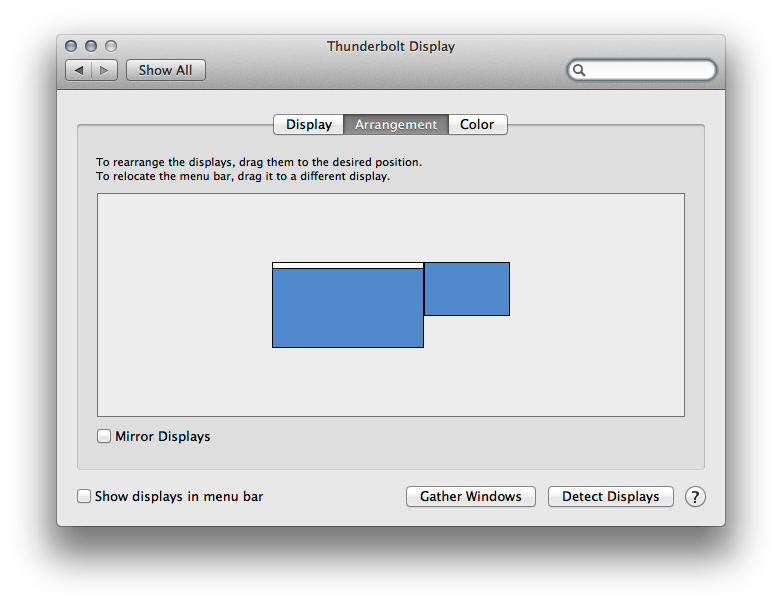 In the Displays pane of System Preferences, each blue box represents a display that is currently connected. The size of each box is relative to the current resolution of the display it represents. In the example pictured below, the larger box on the left represents an Apple 27" Thunderbolt Display, while the smaller box on the right is the built-in display of a 13" MacBook Air (Color LCD). The white bar at the top of the left blue box represents the menu bar you see at the top of your display. 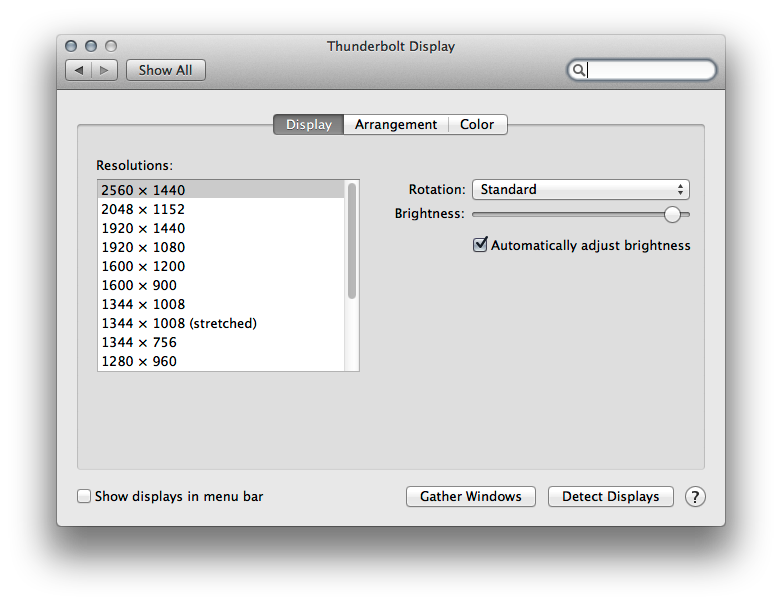 Menu bar placement determines which display is treated as the primary display in OS X. To change your primary display, click and drag the white bar from one blue box to another. You can also drag any of the blue boxes to change a display's represented location. Use this feature to make sure the connected displays match their real world location when navigating your desktop. 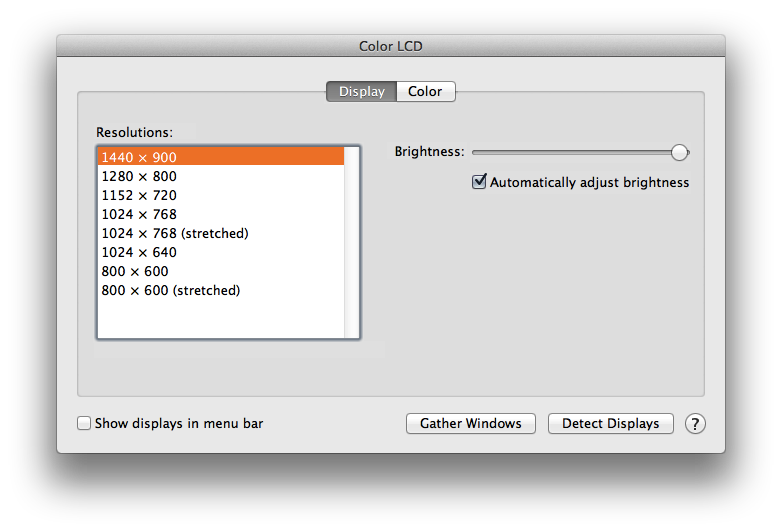 As shown below, each display retains its maximum resolution setting as they are operating as individual displays showing a continuous desktop.